Todays bathroom customers seek to create an area that offers functional solutions mixed with styles that allow them to integrate there own personnel flair and most of all create an area of luxury within their home. Getting the bathroom you really want depends on careful planning. 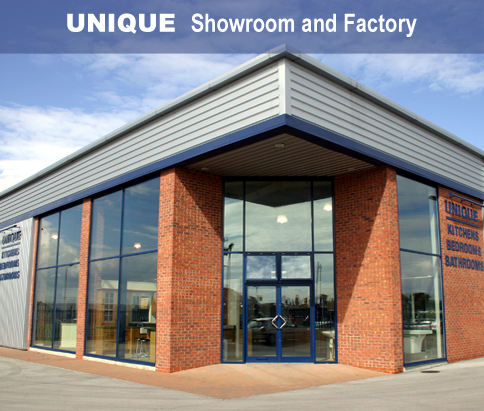 Here at unique we offer a varied collection of bathrooms to meet the needs of a wide range of consumers. The owner of the company Steve Martin will help you turn your ideas into reality, offering a no obligation quotation and design service he will advise you of all your bathroom requirements, for example by using bespoke built in units can help get the best storage solutions for even the smallest of bathrooms, whilst not overpowering the room with standard over sized units. We can supply all makes and models of all pottery, showers and cubicles form all the top manufacturers and we also have a range of accessories and mirrors that will compliment any bathroom. Our own fitter will be able to provide the complete fitting service - everything from the tiling to the electrics, plastering, general building and plumbing. As we use one specialised fitter this eliminates the need to be waiting around for several different tradesman to complete the project. Unique is a member of the Napit association so all electrical work undertaken will be tested and certified. Click here to view a sample of the main suppliers we use for our quality bathroom fixtures and fittings. Please note this is not an exhaustive list, we can source any brand or products required by our clients. 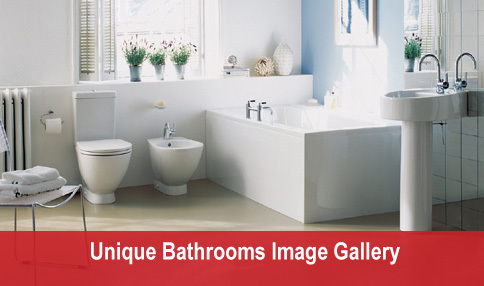 Click here or on the image below to view our gallery of bathroom ideas from our main suppliers.